Here’s a suggestion. Go to your local craft store or woodworker’s supply store. 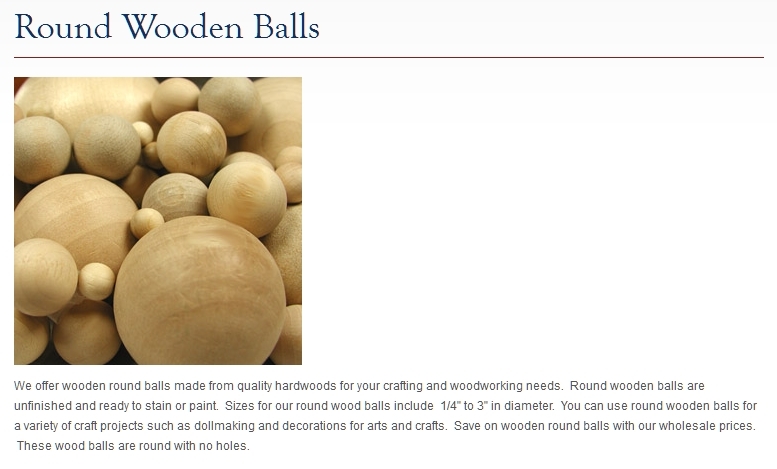 Buy a wooden ball whose size is one-and-a-quarter (1.25) inches in diameter. (If you can find a ball labelled hardwood, that’s even better.) It will probably cost you about 80 cents. Once you have your wooden ball, color it red with a permanent marker. Voilà! A jack! You’re probably thinking— It’s OK to be a little flexible about the size of the jack in casual play, but I would never use a home-made jack in an official competition. Your home-made jack will weigh around 13g, which places it in the middle of the required weight range (10g to 18g). This isn’t surprising. The requirements for the jack are requirements for a wooden ball, and that is exactly what your home-made jack is. In short, your home-made jack meets FIPJP requirements for both size and weight. What’s more, it is not covered with a coat of paint. That actually makes it more like a traditional bouchon than the painted jacks sold by Obut. So give it a try. I think you’ll like your home-made jack. After using my homemade jacks for a while, I began wondering if it would be possible to get a shiny painted surface like the Obut jacks have. After a bit of experimentation, I made these. They are painted with three coats of “Sally Hansen Hard-as-Nails” fingernail polish ($3 per bottle). The first coat is white, the second coat is colored, and the third coat is clear. Players in my club think that the easiest-to-see jack is Obut’s Fluorescent Yellow jack. But I have found that Testor Fluorescent Yellow Enamel Paint (which I found at my local Hobby Lobby) is even easier to see. My homemade jack (below) is on the left, and the Obut yellow jack is on the right. The paint on Obut jacks gets badly chipped pretty quickly. I’m experimenting to see if a couple of coats of clear “Hard-as-Nails” on a new Obut jack might extend its useful life….